This is a fun event in partnership with Meccano (UK) which is organised and run by he Corlust Meccanno Club. They are inviting 6 primary and 6 post primary schools within the Armagh and Down Area to take part in the challenge on the 17th & 18th of October. There is no entry fee or cost involved to the school. If you are thinking about programmable integrated chips (pic) then your mind obviously turns to PIC logicator. 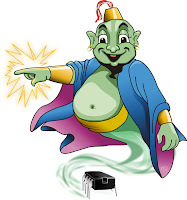 However over the last few months New wave concepts have been developing the GENIE system. There have been a number of recent inquiries surrounding c2k updates of Solidworks. The good news is that the wait for SW2009 is nearly over. If you missed it, despair not! The SELB exhibition is now online. All projects that were displayed in the Marketplace Armagh can be viewed by going to www.clounagh.org. Then click on Technology support and resources, where you will find the picture project gallery containing all the photos.